The BGHS Alumni Association is pleased to invite you to our 33rd annual banquet. The banquet will be held on Saturday October 14, 2017, at 6:30 pm in the James A. Wilson Gymnasium. The $25.00 for the meal per person, which includes annual dues. This year we will be honoring graduates of the classes of pre-1956, 1957, 1967, 1977, 1987, 1992, 1997, and 2007. A link to the registration form and 2017 newsletter can be found by clicking on the link below. We are pleased to announce this year’s Annual Banquet will be a celebration of 100 years of the Speaker, our high school yearbook. All alumni who once worked on the Speaker are encouraged to attend and share memories of helping to create BGHS’s yearbook. Special guests, including former editors and staff, will be speaking about their experiences of working on the yearbook and developing photos in the dark room. The BGHS Alumni Association chose 13 Bowling Green High School seniors to receive $1,000 scholarships in 2017. Recipients were honored during high school graduation ceremonies. 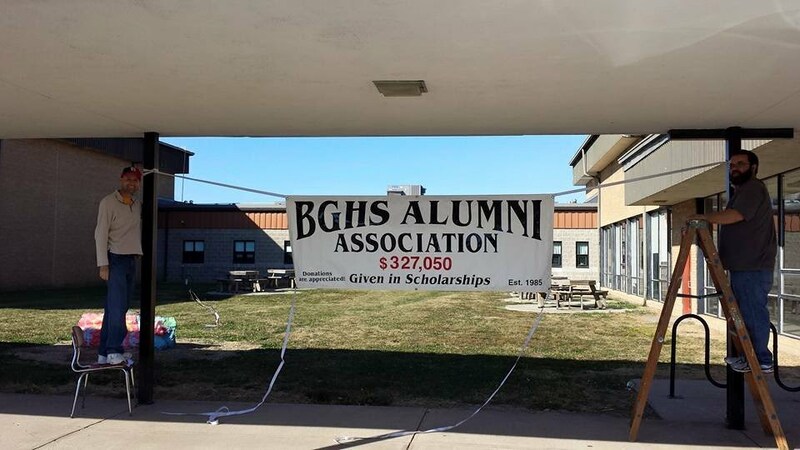 The outstanding generosity of our alumni is greatly appreciated and we ask for your continuing support in order make sure future generations of BGHS alumni can receive assistance in their post-high school education. Correspondence to the BGHS Alumni Association may be sent by mail to: P.O. Box 132, Bowling Green, Missouri 63334. Please join our group on Facebook by searching for “Bowling Green High School Alumni Association (Bowling Green, MO)”. Once on the page, click to join the group and you will be able to post comments on the wall and see other member’s comments on your wall. This is a great way to reconnect with friends and classmates, and stay up to date on the Alumni Association’s activities. We owe great appreciation to this group of BGHS graduates for their hard work and vision to form this organization that lives today to celebrate the education and memories of four important years in the lives of everyone who graduated from Bowling Green High School.